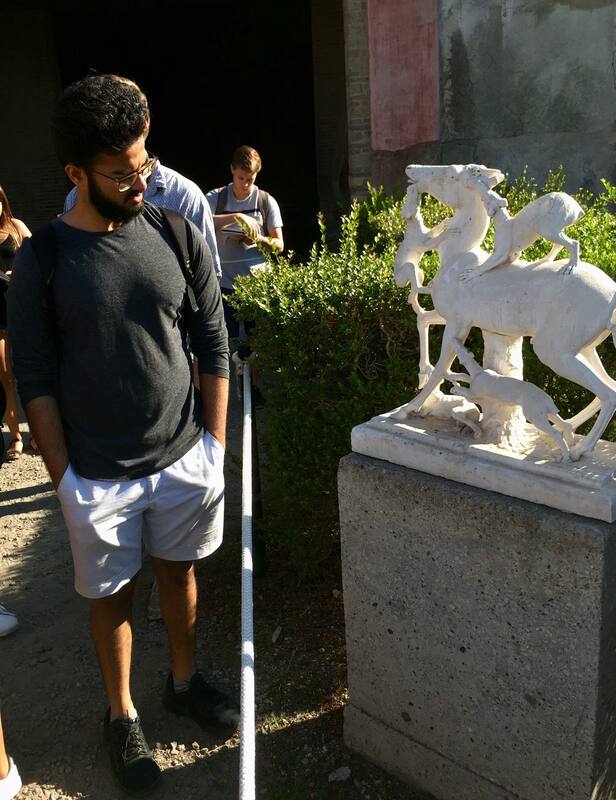 Explore the layers of Rome and the rich diverse cultures of the Italian peninsula with Cal Poly’s Rome Architecture Program at the AIA Rome Center. You will learn about contemporary design and sustainability in the context of 2,800 years of living history. The AIA Cal Poly Architecture Program offers a limited number of dedicated students the opportunity to live and study in the heart of Rome, Italy for 15 weeks. It is very active and focused, with hands-on courses and activities that investigate sustainable solutions to contemporary, real-world problems. 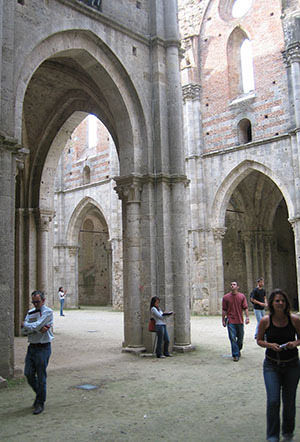 This program provides students exclusive access to many of Italy’s extraordinary sites and experts. Personal attention from instructors and staff put students in touch with authentic local culture. Field trips and admission to many cultural sites are included in tuition. Students enroll in four courses for 15 quarter credits. The 15 weeks including two weeks of field trips in Italy and nine days of break for independent travel. All instruction is provided by local professionals, and students will study Italian language with a native speaker. Courses go beyond academic issues to focus on the student’s professional and personal development. 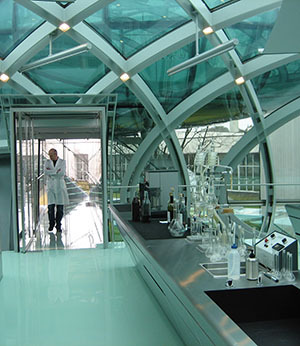 Rome offers thousands of years of sustainable design solutions to human culture and environmental design. In Rome students can explore exciting design problems both in the heart of historic city, in its modern suburbs, and in other unique settings around Italy. 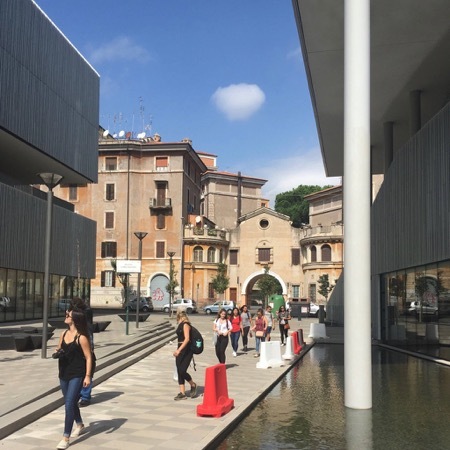 In Rome you can experience and study over 2,000 years of design expression from the works of ancients through the contemporary designs of Richard Meier, Renzo Piano, Massimiliano Fuksas and Zaha Hadid. Rome offers the chance for peer-learning workshops with Italian students and hands-on seminars in historic conservation and urban development. 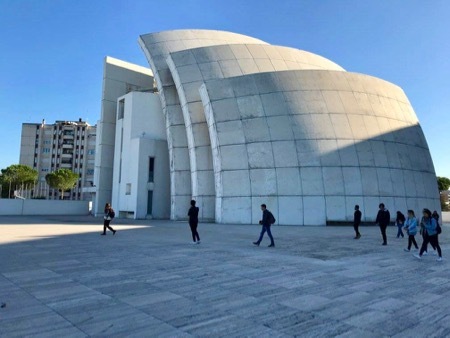 The Cal Poly Architecture Program in Rome is directed by Faculty Leader Tom Rankin who teaches together with the support of local and international academics and practitioners. An architect, writer and educator, Rankin has been involved in the program since its inception, improving and updating the curriculum year by year to achieve the most topical and relevant learning experience possible. He received his Master’s in Architecture at the Harvard University Graduate School of Design, a BA in Architecture at Princeton, and a “Laurea” in Architecture at Sapienza Università of Rome. He came to Rome on a Fulbright Grant in 1991 and has lived in Italy ever since. 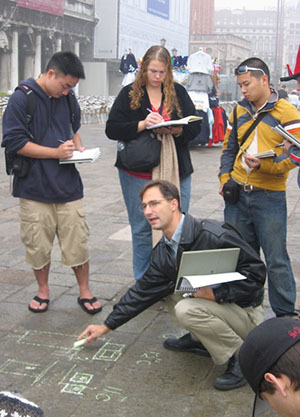 In addition to his work with CalPoly, Rankin teaches at the Università di Roma “La Sapienza” (School of Engineering) and the Iowa State Rome Program. He is a founding member of ISAR (isarome.org) a non-profit organization dedicated to Architecture, Art and Archaeology in Rome. He previously served as Director of the association Tevereterno Onlus and founding member and President of the American Institute for Roman Culture. 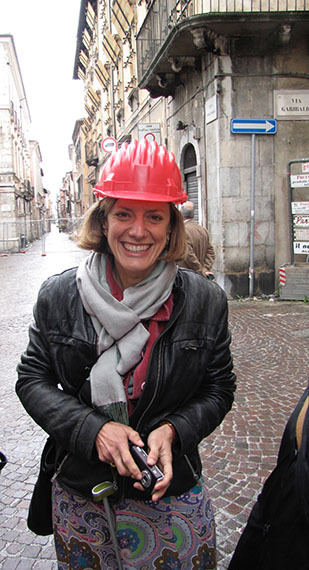 Rankin is the author of Rome Works: An Architect Explores the World’s Most Sustainable City and has written numerous articles and presented frequently at conferences on sustainable urbanism. His blog on the Still Sustainable City was chosen by Guardian Cities as the best Italian city blog and is a reference point for sustainable urbanism in Rome. He can be contacted at trankin@calpoly.edu or reached at his website tomrankinarchitect.com, on Twitter (tgrankin) or Instagram (tomrankinarchitect). The program runs from Sept. 3 to Dec 14. That’s half an academic year in Rome. Two weeks of field trips are included in tuition. Travel on high-speed rail, stay in comfortable hotels, and sample regional cuisine as we travel. Each week you will visit museums, archeological and other cultural sites in Rome, and many more on field trips. All entrance fees to program visits are covered by tuition. Rome is a hub for exploring Italy, Europe and the Mediterranean. Many students travel further after field trips, during mid-term break and before and after the semester. 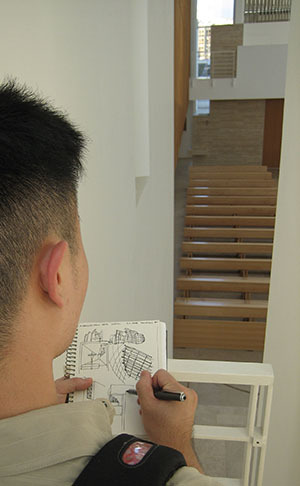 All Architecture courses earn direct credit toward your degree. Build your skills and your portfolio through creative solutions to real world problems. 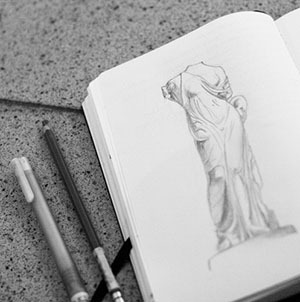 Serious and thorough design studios emphasize all media from hand drawing, to digital media. You will work in fully equipped facilities located in an elegant historic palace in the very heart of Rome. The program provides comfortable housing within walking distance of the facilities. Our university-level, not-for-credit Italian Language course has no grades – just a lot of learning with a native language professor. You’ll meet and learn from local experts, guest critics and other professionals. Extracurricular activities include multi-course group dinners, Italian films, cooking lessons, and more. Student life includes concerts, soccer games, etc. 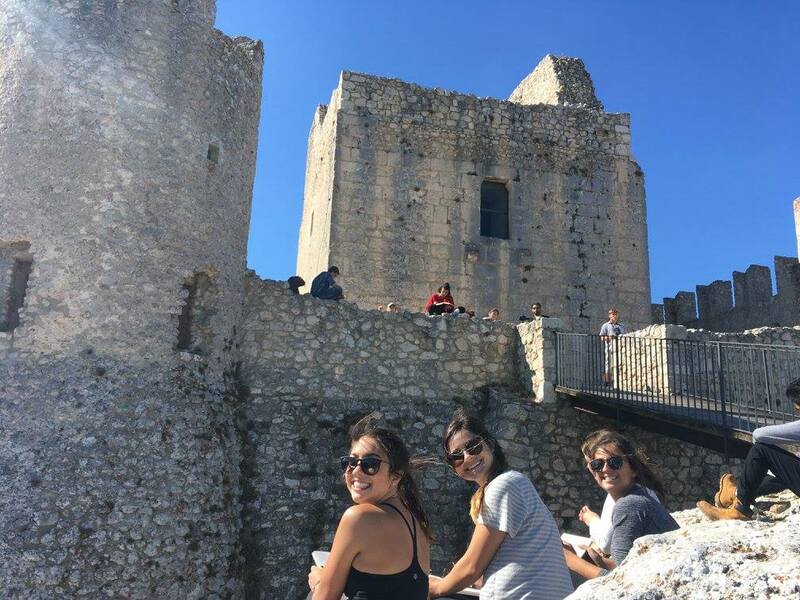 The AIA staff ensure the program runs smoothly and help students get settled in their new home in Italy. The objective of this course is to introduce and sensitize students to issues regarding the contemporary state and use of the historical city and its artifacts. The course exposes students to a selection of contemporary theoretical constructs, historical facts, techniques of analysis and practical approaches towards a critical evaluation and use of the existing built and natural environment students will confront in their careers as architects. Dubbed “Sustainable Rome,” this course considers Rome as a laboratory in which 2700 years of continuous inhabitation has left valuable material of study for today’s designer. This course examines this urban capital from the dual perspective of cultural and environmental sustainability, observing and analyzing the strategies and techniques used by Roman builders of all eras to coexistence with the natural environment while constructing and perpetuating their own world views. The course will focus on the city of Rome by examining seven themes of sustainable urbanism, seeing the city both as a system of physical urban artifacts and the systems of flows which make urban life possible. This intensive design studio focuses on real-world design problems within the context of complex historical and contemporary neighborhoods, rich with significant historical monuments. This is an inevitable problem in the city of Rome where one can hardly avoid confronting the presence of the past. Students will work to provide for a complex, mixed-use program within a complex site, one which is pregnant with both potential and problems, and be asked to consider centuries of development through forms and methods of emerging twenty- first century design. This course focuses on exploration, documentation and analysis of architecture in and beyond Rome. One of the primary reasons for studying architecture in Italy is to gain exposure to a variety of architectural and urban treasures, examining them not as tourists but rather as discerning scholars. Thus, an important component of the program is this travel course which comprises general historical/architectural orientation walks in Rome and the bulk of organized travel elsewhere in Italy. Stops have included: the modern metropolis of Naples, Zaha Hadid’s maritime station in Salerno, Ninfa (an extraordinary botanical garden built on the ruins of a medieval town), Terracina and Sperlonga, ancient seaside towns that live on today, the Roman cities of Pompeii and Herculaneum and the villa at Oplontis all buried by the eruption of Mt. Vesuvius, the Greek temples at Paestum, and sites in the Bay of Naples such as Baia, Cuma and the volcanos of Vesuvius and Solfatara. This trip emphasizes integration of modern art and architecture into the region’s historical contexts. Students explore the works of Carlo Scarpa and modern art in the Veneto region. Stops include: the city of Verona and Scarpa’s Castelvecchio Museum, the landscape of the Veneto and Scarpa’a Brion Cemetery, Massimiliano and Doriana Fuksas’ ultra-modern “Bolle” building, and Andrea Palladio’s Villa Emo; the city of Venice and Scarpa’s Galleria Querini Stampalia, Olivetti Showroom and Venice architecture school, the work of Renzo Piano, Tadao Andō and Santiago Calatrava, and the extraordinary Modern art collections of Peggy Guggenheim and Francois Pinault. The trip also includes the Venice Biennale International Exhibit of Architecture. Field Study in the Abruzzo, Umbria and Tuscany regions can include travel to the hill towns of Montepulciano, Pienza and Siena; and a special exclusive workshop in the medieval walled town of Castelvecchio Calvisio. Hill town travel focuses on ecology, infrastructure and sustainable urbanism, and may examine Etruscan walls, Roman cisterns, medieval waterworks, economics and town planning and the modern reaction to recent devastating earthquakes in Italy. The AIA Architecture program is competitive and dedicated to academically disciplined and motivated students. Acceptance is merit based and selection is made from applicants who have been pre-screened by their home university.